Much has happened in Arie Galles life since he began the most challenging artistic project of his career. His mother passed away, his son became a director and writer in Hollywood, his daughter launched a professional career in England, and his best friend died. And through it all, the joys and the sorrows, Galles returned each day to his studio and stared some 30,000 feet down into the face of evil. For almost a decade, this art professor at Fairleigh Dickinson Universitys College at Florham, Madison, worked on immensely detailed and powerful charcoal drawings depicting aerial views of 14 Nazi concentration camps. I spent uncounted days peering into geographic Hades, mapping humanitys darkest undertaking, he says. The child of Polish/Jewish parents who fled the Nazis, Galles has titled his completed masterpiece, Fourteen Stations/Hey Yud Dalet, and offers this as his tribute to those who died in the concentration camps during World War II. He refers to the highly symbolic works as icons for compassion and remembrance of the human devastation caused during the Holocaust. 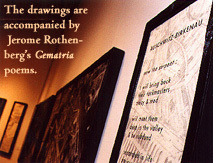 The drawings, with their layers of charcoal, are based on black-and-white photography and are accompanied by Jerome Rothenbergs Gematria poems. The poems are derived from the Hebrew spellings of the camps, and are hand lettered by Galles over a ghost-echo image of each camp. The drawings and the poems are framed in custom-made wrought iron embedded with fossil-like impressions of barbed wire. What is perhaps most unusual is how the drawings depict a birds-eye view of seemingly ordinary landscapes. Galles studied hundreds of documents and reconnaissance photos to discover these images of concentration camps. His research led him to the National Archives in Maryland; captured German war documents in the Holocaust Memorial Museum in Washington, D.C.; Royal Air Force archives in England; and to regional directors of several concentration camp museums in Poland. That Galles was even alive to draw was no small feat. After his parents fled from German-occupied Poland into Soviet-occupied Poland, and refused to accept Soviet citizenship, they were sent to a Siberian work camp. There, Galles sister died of diphtheria at the age of 5, and his brother, just three weeks old, died of starvation. Galles himself was born in Tashkent, Uzbekistan, in 1944 (his parents were released from the prison camp after the Nazis attacked Russia in 1941). Galles moved to America with his parents in 1958. His career soon took off, and his art moved from dark themes to a celebration of life. He became well known for his reflected light paintings, creations consisting of painted aluminum extrusions mounted vertically onto a white panel to depict an illusion from the reflected color light. His personal life likewise flourished. He met and married Sara and became a father to two children. In 1972, he started teaching at Fairleigh Dickinson University. During this time, whenever I flew on an airplane I was mesmerized by the picturesque landscapes below. This inspired Galles to begin an acclaimed series of works called The Heartland Series, colorful aerial views of American landscapes. 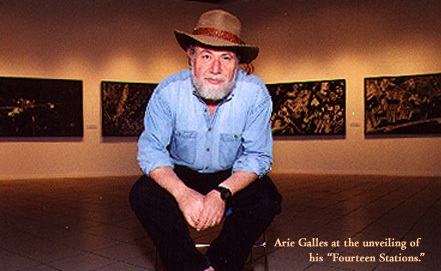 Galles the artist had by 1993 compiled an impressive list of accomplishments and accolades. His drawings and reflected light paintings had been exhibited nationally, including solo shows at the O.K. Harris Gallery in New York City and the Zolla Lieberman Gallery in Chicago. His works appear in private collections in the United States and abroad. He has been honored by arts groups and sponsors and was included in both Whos Who in American Art and An Illustrated Survey of Leading Contemporary American Artists. Eventually, the subject of the Holocaust no longer figured in Galles art. As he explains, I would get too upset. It was too close for comfort. Then, in 1993, he visited the Wilf Holocaust Memorial in Whippany, N.J., and observed its octagonal room with walls divided into sections. It hit me instantly. 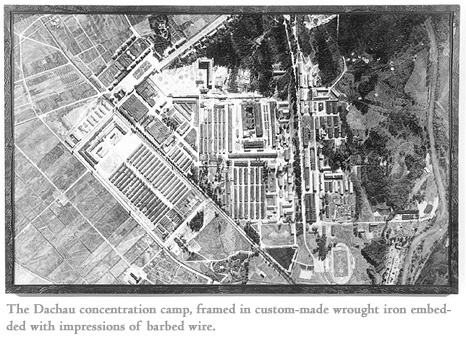 I saw 14 black-and-white drawings of concentration camps as seen from the air. I remembered the 14 Stations of the Cross. I remembered Nobel Peace Prize recipient and Holocaust survivor Elie Wiesels words of witness to the countless calvaries in the camps. It was a calling that would consume him for nearly 10 years. 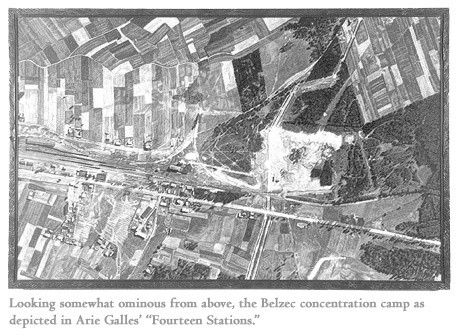 For Galles, drawing the camp of Belzec, where his relatives were murdered, was the most emotionally difficult. I cried hysterically, he says, as he recalls focusing on a spot on the ground that likely marked the final hundred yards members of his family, among hundreds of thousands of others, had been forced to run before being gassed. Galles says hes not looking for a specific reaction from the audience. A work of art is a two-way street. No matter how specific you make it, the audience will react differently because they all bring with them different life experiences. He adds, though, that he senses most people will greet his Fourteen Stations with a profound, introspective silence and probably a feeling that these landscapes do not differ much from other common scenes. Echoing Hannah Arendts reference to the banality of evil, Galles adds that one of his main themes is the ordinariness of the scenes, the normal-looking rectangles and grid-like patterns of the terrain. But then it becomes apparent that those shapes and lines are gas chambers and trains carrying people to their death sentences. The completed Fourteen Stations had its first showing at the Morris Museum in Morristown, N.J., this fall and was accompanied by various related events including a lecture by Elie Wiesel. When the work was displayed as a completed suite on the gallerys walls, Galles says he felt the same stirring sensation he experienced as a boy coming to America and seeing the Statue of Liberty for the first time. Fourteen Stations will be shown at Florida Atlantic University, Boca Raton, from late January through March 2003 and then will be exhibited throughout the country and abroad. Galles hopes it eventually will find a home in a major citys well-established museum.